SALT LAKE CITY, UTAH – The Utah Advanced Materials Manufacturing Initiative (UAMMI) announced today that it has entered into a Memorandum of Understanding (MOU) with the Institute for Advanced Composites Manufacturing Innovation, IACMI, a Manufacturing USA institute which works to support advanced composite technology and grow capital investment and manufacturing jobs in the U.S. composites market. UAMMI is a Utah-b ased consortium of industry, academic and training institutions, and government agencies that advance research and innovation in advanced composites and materials manufacturing. Utah has a thriving Advanced Materials industry that serves the Aerospace, Outdoor Products and Energy industries. By partnering global leaders in the industry, UAMMI will bring many unique resources to IACMI, including more encompassing work with global aerospace supply chains, partnership with Utah academic institutions, as well as the state’s Federal designation as a leading manufacturing community. 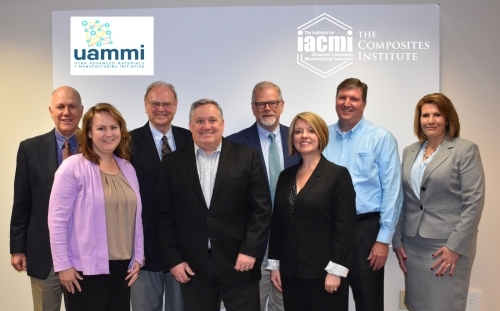 Aligned with IACMI objectives, UAMMI and its membership are particularly focused on the reduction of carbon fiber cost, the reduction of energy required to produce carbon fiber based parts, as well as greatly increasing the recyclability of composites. 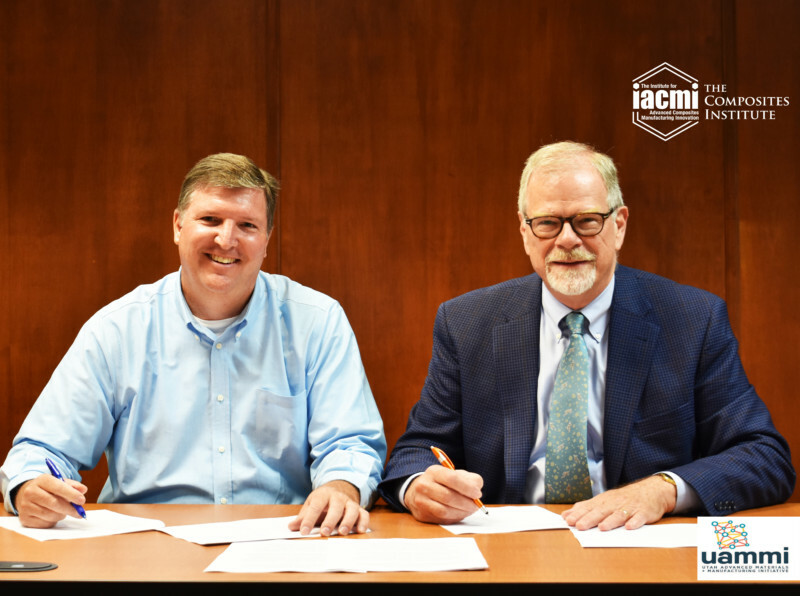 The MOU joins IACMI and UAMMI resources to address specific focus areas such as technology research and development while expanding certain initiatives and programs for those in the composites manufacturing community. The Composites Institute: The Institute for Advanced Composites Manufacturing Innovation (IACMI), managed by the Collaborative Composite Solutions Corporation (CCS), is a partnership of industry, universities, national laboratories, and federal, state and local governments working together to benefit the nation’s energy and economic security by sharing existing resources and co-investing to accelerate development and commercial deployment of advanced composites. CCS is a not-for-profit organization established by The University of Tennessee Research Foundation. The national institute is part of the Manufacturing USA network and is supported by a $70 million commitment from the U.S. Department of Energy’s Advanced Manufacturing Office, and over $180 million committed from IACMI’s partners. Find out more at IACMI.org.